Dr. Amarik Singh will host a complimentary dental implant seminar for the public on Wednesday, May 18, 2016. Attendees will have the opportunity to learn from a trusted periodontist about dental implants in Oakbrook, IL. On Wednesday, May 18, 2016, Dr. Amarik Singh will host a complimentary seminar on dental implant procedures. Dr. Singh is a respected periodontist and has placed more than 14,000 dental implants in Oakbrook, IL, and is proud to share some of his knowledge with seminar attendees. All in attendance will be given a $250 gift card that can be used towards dental implant treatments with Dr. Singh. Dr. Singh invites all individuals who are interested in learning more about dental implants in Oakbrook, IL from a trusted periodontist to sign up for his complimentary seminar that will be held on May 18, 2016. Dr. Singh is a leading provider of dental implants in the Oakbrook area and has years of experience placing implants. He urges patients who have lost teeth from accident, gum disease and injuries to find out more about the many benefits implants can offer as tooth replacements. Instead of being placed on top of the gums and relying on special pastes to stay in place, implants are extremely secure because they are inserted into the jaw and become integrated directly into the bone over time. When implants are placed by a knowledgeable professional and are carefully cared for by the patient, they are known to last a lifetime without needing replacement. Individuals who have had teeth knocked out due to injury or who have lost teeth as a result of advanced gum disease are encouraged to discover how implants may benefit them. Dr. Singh’s complimentary seminar will cover the basics of implant placement and will also educate attendees on the benefits dental implants offer. Implants are not only useful for restoring dental function, but they are also made to appear very natural in the mouth and are carefully color-matched to surrounding teeth. Those who wish to hear a leading periodontist discuss the benefits of dental implants in Oakbrook, IL are encouraged to reserve seats early to Dr. Singh’s seminar on May 18, 2016. More information can be obtained by calling 630-686-1538. Periodontal Implant Associates is a periodontal practice offering personalized dental care for patients in Chicago, IL. 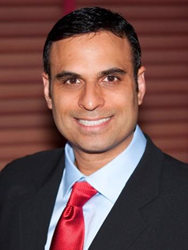 After graduating from Northwestern University Dental School, Dr. Amarik Singh went on to obtain his Specialty Certificate in Periodontics and earn his Master’s from Northwestern University. Dr. Singh is deeply committed to continuing education and prides himself on remaining on the cutting-edge of the newest techniques and technology in dentistry. Dr. Singh is part of an elite group of dental professionals at the forefront of the Chao Pinhole® Surgical Technique (PST®), a revolutionary new approach to repairing gum recession. To learn more about the periodontal services available at Periodontal Implant Associates, please visit http://www.pidentists.com or call 630-424-9404.